As I said in my last post, I have been playing with some hardware parts for Arduino. My plan was to tackle at least 2 of them during last weekend but I had a problem: all of this parts requires external components that I didn't have at hand. So I went to a local component shop but unfortunately I could not find most of the parts. The only part I had the required "missing" components was the Nokia LCD so I googled for "Nokia 5110 LCD on Arduino" and voilá! The third entry in the results links to one great source of information about Arduino (and electronics in general). Now I was ready to start; I pulled my Arduino board, breadboard, the LCD (and required components) and put myself to connect them together. As you can see they have different pinouts! Next step was to carefully reconnect the LCD and power on my Arduino (crossing my fingers hoping nothing bad had happened to neither my Arduino nor the LCD); this time everything but the backlight worked as expected; for some reason I could not explain the backlight refused to light up. I checked and re-checked the connections many times but could not spot the problem. But at some point, during my investigation I could swear having seen the backlight turning on and off; after some more testing I found out: by mistake I connected the backlight pin to the Arduino ground and that did the trick. But wait, both the LCD breakout schematic (not shown here) and the board itself does states that I should connect 3.3v on that pin... I have no idea what's happening here, but it is working. Hello, I bought the same display with the same pinout, and I'm having some troubles. The ic is a cmos 4050? I haven't one yet, so I've decided to only light up the display. I was thinking the pinout was wrong, but in your case works. Yes, the IC is a 4050. By "light up" you mean the backlight, right? Maybe your part i broken? Sorry not being able to help more... I a really new to this stuff. I have the same issue as Willy. ...but light doesnt work when connected properly. 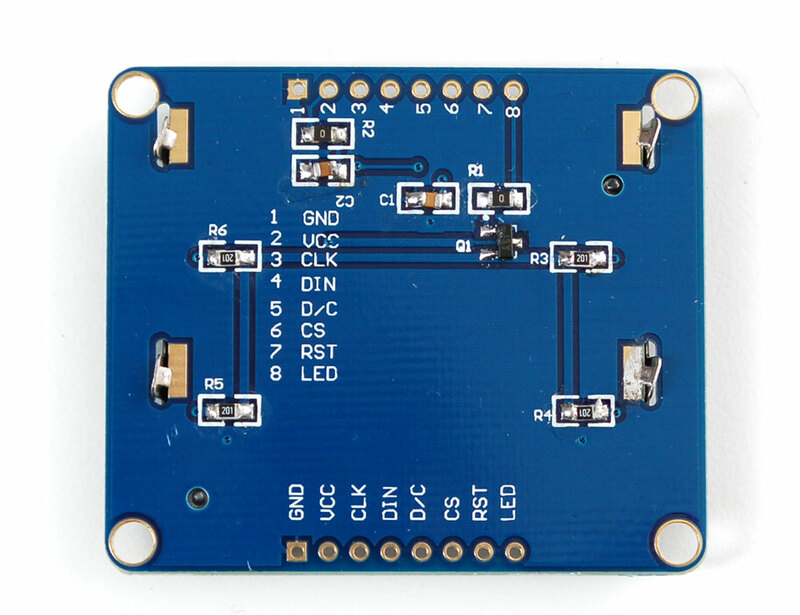 No pixels are displayed when all wires are connected and using sample program from Adafruit. Hello, I had similar problems with this LCD, take a look at my blog, I think I can help you. Thank you so much Marcio. I needed to change some of the arduino pins to match the code though. I know this is an old thread. However, I wanted throw out an answer that may work for people. I have a suspicion some of you are using out of the box Arduino Uno's. Some of them (even v3's) have a 3.3v out that is not accepted by the 5110 LCD's on ebay. The ebay stuff isn't as tolerant as the adafruit or sparkfun lcd's - you get what you pay for! 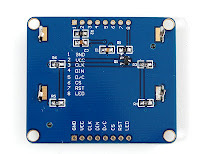 Instead of using the 3.3v from your arduino, try using a positive voltage regulator such as the L78L33ACZ (around $0.18). Put 0.33uf as Cin and 0.1uf as Cout. Connect that to your 5v out on your Uno. It has worked for me like a charm, use Lady Ada's tutorial and library. I recommend you just buy adafruits hardware as well, to support the library, it would avoid most of these threads.